This course focuses on areas where teachers, like YOU, can maximize the learning process through creating pages, making your students participate in projects in which peer editing takes place. You will also learn how to embed creative widgets that will encourage your students to engage more. This course also examines ways in which teachers can assess their students’ performance and track their progress as well. Eventually, this course is a professional development for every teacher, like you, who is looking for an optimal teaching experience. The course is free for a limited time. 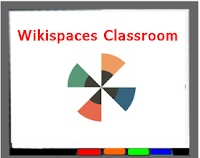 Ready to create your own Wikispaces classroom? Click Here!